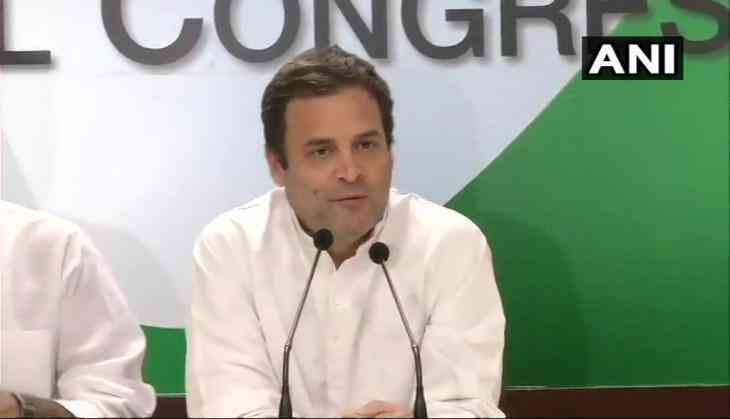 Congress President Rahul Gandhi is likely to appear in a court in Bhiwandi in Maharashtra on Tuesday in connection with a defamation case filed by the Rashtriya Swayamsevak Sangh (RSS). Earlier, Gandhi had not appeared before the court on April 23 and his lawyer had filed an application for exemption. On January 17, the Bhiwandi Court had ordered Gandhi to be present on April 23 for framing of charges against him for saying "RSS people killed Gandhi." On the same day, the court had allowed Gandhi an exemption from the court on an application presented by his lawyer and had set April 23 as a new date for him as he did not appear before the court on that day. A local RSS functionary, Rajesh Kunte, had filed the case against the Congress President for claiming at an election rally on March 6, 2014, that the right-wing organisation had killed Mahatma Gandhi. In September 2016, Gandhi withdrew his petition filed in the apex court, challenging the case and said he would face the trial. He expressed his readiness to face the trial after the top court refused to interfere with the criminal proceedings pending against him before the trial court.